Müpa’s 2019 season will not go by without a musical marathon either. February 3rd is the date when fans can enjoy the music of two masters in a day-long event. 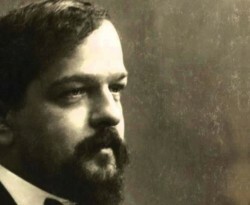 Staged by the Budapest Festival Orchestra and Müpa for the 12th time, it will be dedicated to two truly special composers, Debussy and Ravel. Although neither of them liked being referred to as such, both of the two French composers came to be known as an impressionist. They were each other’s rivals, influencing, motivating and marvelling at each other. 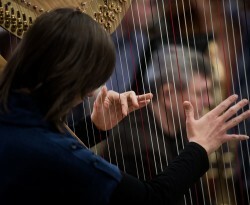 With the artistic leadership of Iván Fischer, the epoch-making music of the two central figures will be celebrated by countless well-known orchestras and performing artists, ranging from the Amadinda Percussion Group and the MÁV Symphonic Orchestra to the Budapest Festival Orchestra and Ferenc Rados. Everyone, from the youngest to the most senior generations, will find something to match their taste, all they need to do is choose. The ticket price for the mini concerts is 1500 HUF. Buy tickets for three mini concerts and attend a fourth for free! This way you can listen to all 11 concerts for a total price of only 16 500 HUF instead of the full price of 13 500 HUF. In order to take advantage of the Marathon discount online, add the tickets for all the performances you wish to see to your cart. In your cart, you can check – depending on the number of concerts selected – to which performance(s) you are receiving your tickets as a gift, i.e. at a price of HUF 0. Please note that the tickets you receive for free upon the use of the discount must also be added to your cart. The ticket prices already coming at a discount, the discount percentages awarded for the Silver, Gold and Platinum levels of the Müpa+ Loyalty Programme cannot be used for the purchase of Marathon tickets. The loyalty points awarded will naturally be credited upon purchases made with the Müpa+ card at out ticket offices as well as for purchases made on our website. Concert by the students of the Franz Liszt Academy of Music I. Concert by the students of the Franz Liszt Academy of Music II. Concert by the students of the Franz Liszt Academy of Music III. Concert by the students of the Franz Liszt Academy of Music IV.